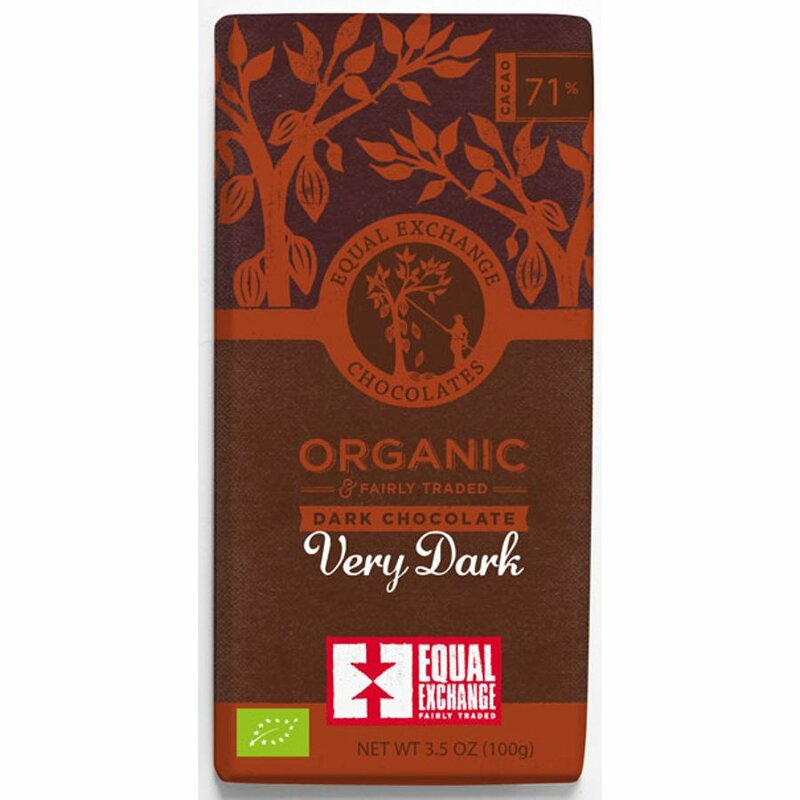 The original dark chocolate bar from Equal Exchange made with a blend of cacao beans from Peru and the Dominican Republic. The rich bar has a fruity pipe tobacco aroma along with a flavour of bright red fruit and chocolatey baked brownie. The certified organic dark chocolate bar is gluten and dairy free suitable for vegetarians with 100% Fair Trade ingredients. Organic Chocolate Liquor, Organic Raw Cane Sugar, Organic Cocoa Butter, Organic Unrefined Whole Cane Sugar, Organic Ground Vanilla Beans. 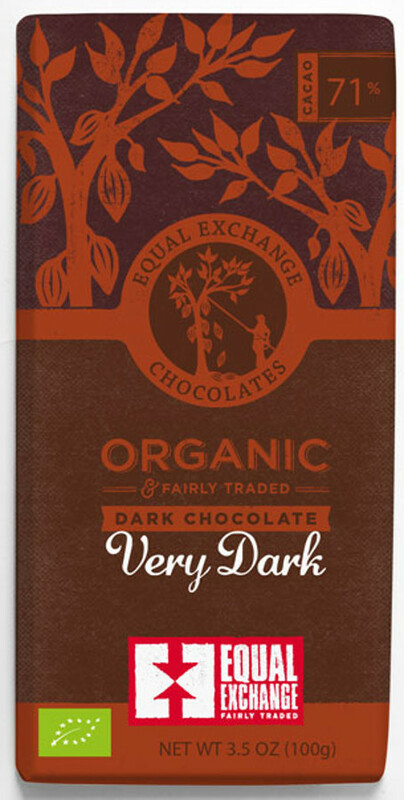 There are currently no questions to display about Equal Exchange 71% Organic Very Dark Chocolate - 100g.